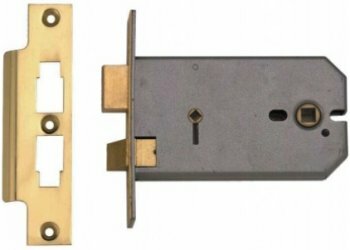 Union 2026 horizontal bathroom lock for period properties. Available in 5 inch (124mm x 70mm) & 6 inch (149mm x 70mm) case sizes. 5 inch lock has 4 inch (101mm) backset to centre spindle, 6 inch lock has 5 inch (127mm) backset. Available with brass or satin chrome forend and strike plate.